How to apply to an old wood table? The table has to be sanded down to bare wood and then Bora Care applied. 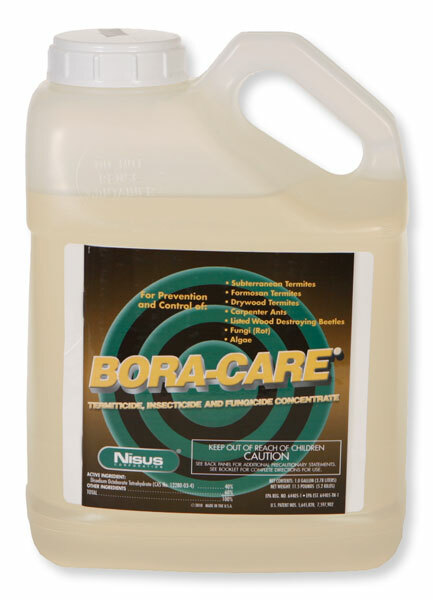 Bora Care won't penetrate stain, varnish, paint, etc. Once the Bora Care has dried for 72 hours, sand, and then repaint or stain as desired. This is the only way to treat existing furniture of any kind. The only easy fix is to have someone "fumigate" the table. It's probably not worth the $500+ that it would cost - if you could find a licensed fumigator to do it.